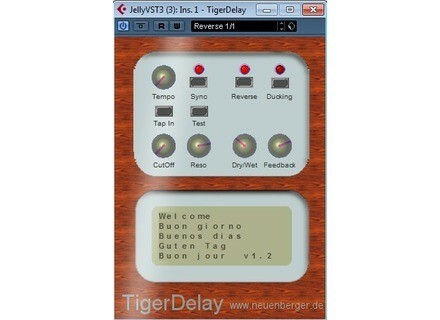 TigerDelay, Software Delay/Echo from Neuenberger. Neuenberger has updated the free TigerDelay plug-in to version 1.2.1. Solved a bug crashing Cubase SE when TigerDelay was closed. Improved reverse Delay Algorithm to suppress crackles on reverse slicing borders. Applied Acoustics Systems Swatches Applied Acoustics Systems has announced the release of the Swatches sound bank compilation for the free AAS Player plug-in. Fractone WallsOfSound for VST 2 v1.2 Fractone has updated the VST 2.x version of WallsOfSound to version 1.2. 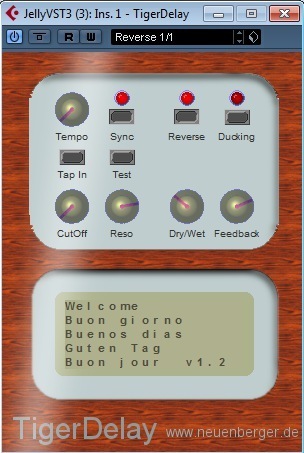 Syntheway DAL Flute v2.1 Syntheway has updated DAL Flute to version 2.1.